On The Bay Magazine is a lifestyle magazine for the Southern Georgian Bay region, covering local lifestyle topics, homes, food, fashion, sports and the major issues that challenge the fast growing yet environmentally sensitive Southern Georgian Bay region. 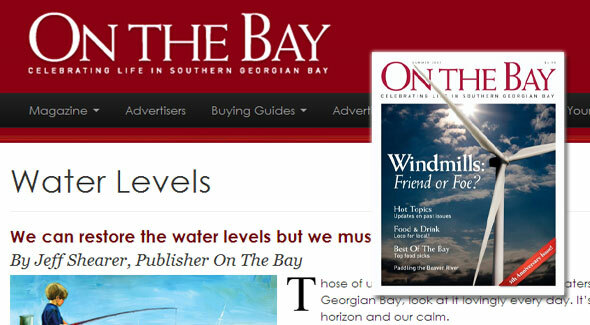 The online portal for On The Bay Magazine has a WordPress engine with some custom programming for added extras in list displays and banner ad management. Staff can now maintain the site’s content in-house as well as track advertiser results.